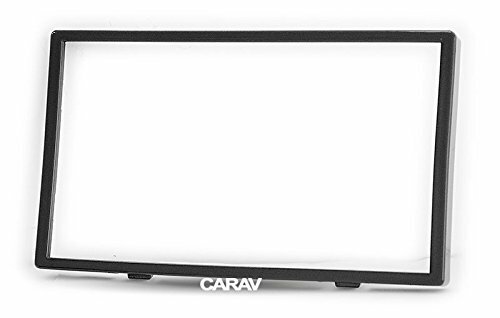 Double Din In Dash Car Stereo Installation Kit Car Radio Stereo CD Player Dash Install Kit Compatible HONDA BR-V, Brio 2016+ with 17398mm by CARAV at Atoz Car Rental. MPN: CARAV 11-699. Hurry! Limited time offer. Offer valid only while supplies last. Product Description: 1. 3D digitally designed Factory-style texture 2. Constructed of high quality, high heat, automotive grade ABS plastic 3. For the universal dvd players to be installed to most types of cars,the outside ranges can not meet up well,so have to install with this kind of frame to make perfect installation. Fill the gap between original car and new head unit. If you are unclear whether the product is suitable for your car, please contact our customer service, we will give you the most suitable advice. If you have any questions about this product by CARAV, contact us by completing and submitting the form below. If you are looking for a specif part number, please include it with your message.